Canadian futsal folk hero Joshua Lemos has got a new gig. 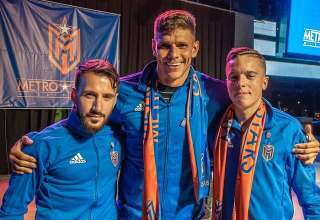 The Canadian keeper has been signed by the Milwaukee Wave of the Major Arena Soccer League. 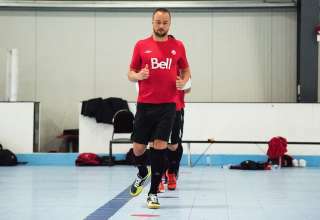 That club is also home to Canadian futsal national teamer Ian Bennett. The Wave is coached by Canadian Giuliano Oliviero. Lemos will battle Rafael Dias for the starting keeper’s job. 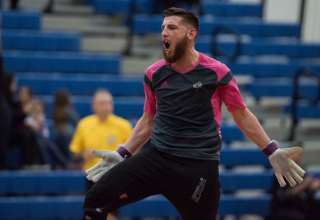 Lemos was one of the stars of the CONCACAF Futsal Championships; his heroics in goal got Canada to within one win (or draw) of qualifying for the World Cup. He was in goal for the Canadian team when it eliminated the United States in a two-game tournament-qualifying series. In 2012, he came out of the net to score a key goal against El Salvador in a CONCACAF Futsal qualifier. How will he adjust to the turf-and-boards game? 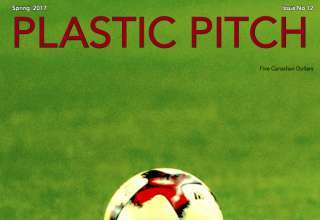 In issue 9 of Plastic Pitch, he said there were a lot of similarities between futsal and indoor (arena) soccer. (See the issue for the full feature on Lemos; as well, Plastic Pitch Issue 4 has a feature on Oliviero and Bennett with the Wave).